New shoes for the new season! 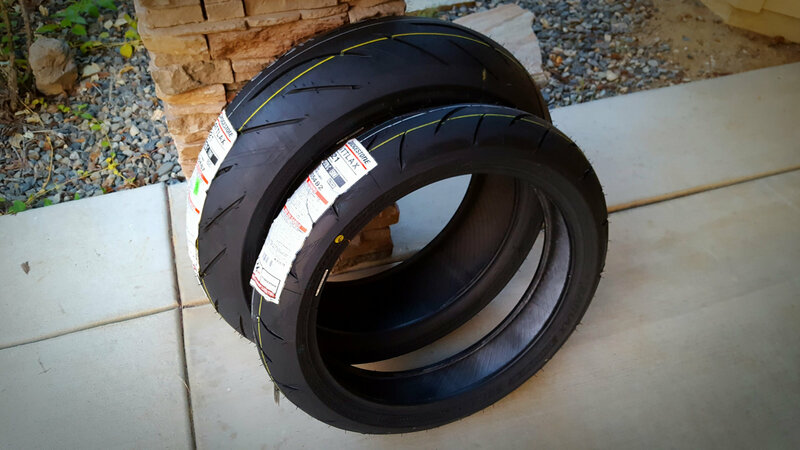 Picked up these from MotoMummy.com. They had an incredible sale on the Battlax Hypersport S21 tires. I’ve been running the BT-S20 on Ol’ Yeller for a while now, and love how they perform on both the street and track. So I figured the updated triple compound rear might be just what I’m looking for when it comes to good street performance for the Repsol. Well, the wait is over, Moto Mummy had these delivered to my door in just a few days. Looks like it’s time to give the Repsol some much needed TLC and get it ready to thoroughly enjoy the new riding season.